This hypnosis can help you to overcome your urge to drink alcohol. Drinking once a week can be enjoyable and even good for your health, but when you depend on alcohol to counter feelings of depression, anxiety or loneliness, it may start having an influence on your personal or professional life. Keep reading to learn how hypnotherapy can help you to regain control and stop drinking excessively. Do you spend a lot of your time drinking or thinking about drinking? Do spend so much money on alcohol that you are in danger of being in financial trouble? Do you drink alone? Are you having difficulty at work because of your drinking? Does your drinking hurt your relationships? This quit drinking self-hypnosis can help you to stop needing alcohol and to live a life that is happy and healthy. dependency is something that can sneak up on you without warning or ceremony. You may have seen yourself as someone that only drinks on a social basis up to the point where you hide your liquor and consume alcohol to get yourself through a work day or to make yourself feel better about something bad that happened. Because alcohol abuse doesn’t happen overnight, the belief that you need alcohol to get through life can form without you realizing it. Your subjective beliefs about needing alcohol to function are in essence the reason that you are struggling to quit with willpower alone. Hypnosis can help you to change this believe and make it easier for you to stop without forcing yourself to act against your deeply vested belief. It may pave the way to sobriety or moderate use and help you to perform optimally at work and be emotionally stable and relaxed without using alcohol. Take a moment to think how your life will be different without the crippling dependency on alcohol. You will feel better, your relationships can improve, you may start to move forward career-wise, and your health may improve. Below are different programs that you can choose from that can help you beat your urge to drink alcohol. Do you want to ask us a question about hypnosis or find out more about the Quit Drinking Hypnosis program? Our customer happiness team answer all questions personally and promptly during our regular business hours. Treating Alcohol Addiction With Hypnotherapy, Does It Work? Every human being has a conscious mind as well as a subconscious mind. Your conscious mind you use to make observations and do things like math. Your subconscious mind manages your all your automatic behavior, impulses and emotions. You can drive a car while thinking about other things because you drive a car with your subconscious mind. In the same you automatically can change gears and use your indicator, you feel the need to drink. It is an integral belief that you need to drink like your belief that you need to eat. Hypnosis can change this behavior by reprogramming your subconscious mind and replacing this inherent belief that alcohol intake is a basic physiological need. When this subliminal impulse is replaced, it can make it much easier for you to quit drinking without engaging your willpower. When you undergo hypnosis, a hypnotic state is induced in an attempt to relax you, suspend your conscious mind, and bring your subconscious mind to the foreground where it is more susceptible to hypnotic suggestions. It is these suggestions that replace those negative beliefs that you may have about alcohol as an essential need. Hypnotherapy makes use of relaxation and visualization techniques to make a life without alcohol a reality and more achievable to you. 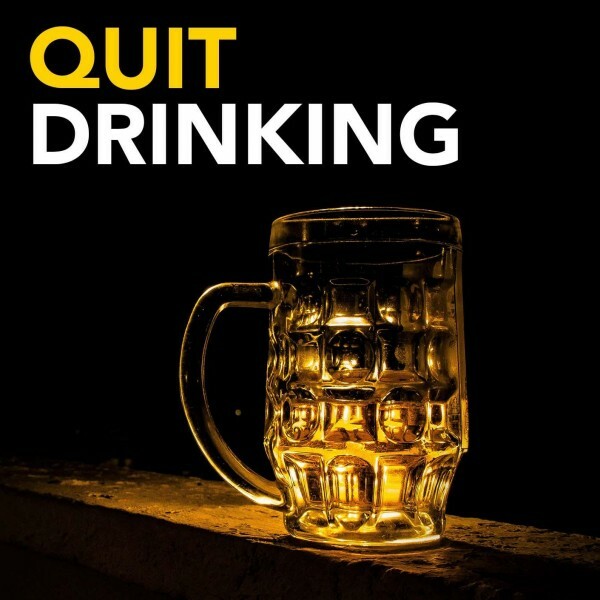 This hypnotherapy can help you to quit drinking by only listening to it and making sure that you are in a place where you are relaxed. Make sure that all your responsibilities for the day are attended to and that you have nothing that will mentally distract you. Just before going to bed can be a good time to listen to you hypnosis recording. As you listen to the recording, you will feel yourself becoming more relaxed and going into a state that is very similar to sleep. One of the differences between a hypnotic state and sleep is the fact that you are still awake and in full control of your mind and body. You will be able to stop the hypnotherapy at any time.People are very different, and while some people see immediate changes in their behavior, it may not be the case with you. All you have to do is to repeat the hypnotherapy multiple times to get the desired effect. Listen to this download every day as part of your daily routine and make sure that you are confident in the therapy and you can give your full and undivided attention. This hypnosis may be just the thing you need to beat your alcoholism and change your life for the better!